A Higher Form of Cannibalism? A biographer has a difficult task. If a person has reached a position interesting enough to warrant a biography, then he or she has surely created a persona that has been as calculatingly shaped as any work of fiction. Tampering with this persona, by telling the truth, or by exposing more than the biographical subject wishes to expose, places the biographer in a position of intense criticism. If the biography is authorized by the subject, then the biographer can become seduced by the allure of materials unavailable to the public, or by the subject’s carefully created personal mythology. If the biography is not authorized (and most biographies are not), then the author may be criticized for not having access, for hounding living witnesses and the subject, and of being either too reverent or not respectful enough of the subject’s family, privacy, or communicated wishes. This intriguing, illuminating book serves as a comparative history of biography as well as an examination of the author’s personal education in the perils of biographical writing. A professor of English at Baruch College of the City University of New York, Rollyson has published works including biographies of Rebecca West, Norman Mailer, Lillian Hellman, and Marilyn Monroe. Over the past fifty years, biography has been criticized for an obsession with salacious private details of a subject’s life. 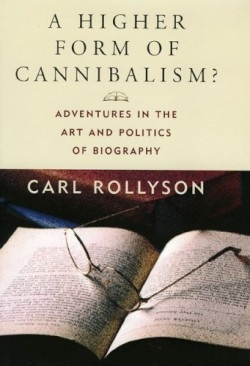 Rollyson shows that this criticism has always existed, by looking first at historic biographical writers such as Johnson and Boswell and then at contemporary biographers like Kitty Kelly. What is new is the modern belief that an individual’s work and life should be—and can be—judged separately. The irony is that the more the subject withholds information, the more likely it is that the biographer will be intrusive. The subject raises objections for precisely the reason that the biographer is necessary: only an external observation can accurately depict all of parts of a person’s life rather than just a single point of view. This book is aimed at an educated reader of biographies and does an excellent job of illuminating the process and criticism of this popular form of writing.